Oh, yes, I remember this! I love heat lightening. It's so beautiful. How are you? How goes getting ready for school? carolyn - it was right after our knit night! I am doing alright, school is getting busy again, hopefully I'll still find time to come out on sunday nights! 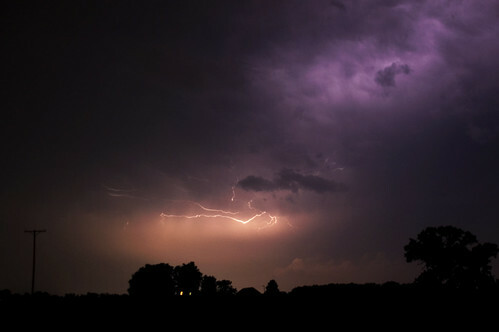 I love lightning storms and i love that you managed to capture the colors of it!